Scroll down for Pisces tattoos, Zodiac symbols, and other free printable clip art and graphic designs. Pisces is a sign of the Western Zodiac. It is most often symbolically represented by a pair of fish. Pisces people are born between February 19th and March 20th. The image shown above depicts the symbol for Pisces in the Western Zodiac tradition. To print any of these Pisces Symbols, just right click on the chosen image and select the appropriate SAVE option from your drop-down menu. This will send the image to your picture file. From there, you can reduce or enlarge it as needed before printing. These images can be used to adorn your correspondence, design a logo, enhance artwork, or for any other purpose you can imagine. For more free printable symbols, calendars, profiles, poetry and more, visit any link on this page. 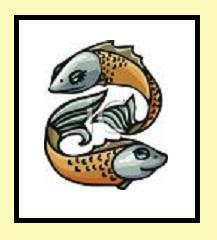 People born under the sign of Pisces are generally believed to be creative, sensitive and somewhat prone to shyness. In terms of romantic relationships, people who are born under the sign of Pisces are said to be most compatible with Sagittarius, Capricorn, Cancer and other Pisces. 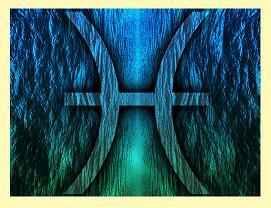 The colors most often associated with the sign of Pisces are blue, green, coral, white and silver. The "starstone" (not to be confused with a birth stone) that symbolically represents the sign of Pisces is the Moonstone. Appropriate gifts for someone with a Pisces personality might include interesting books, small antiques and cozy, quiet dinner dates. 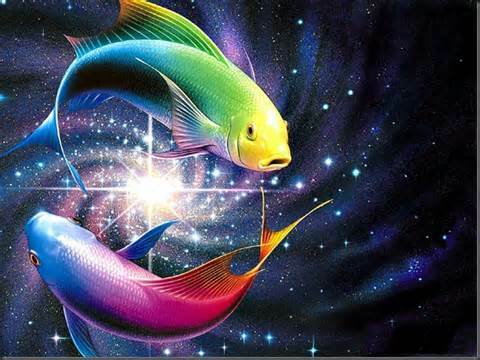 Careers suitable to Pisces personalities include researcher, writer and information technology (IT) specialist. 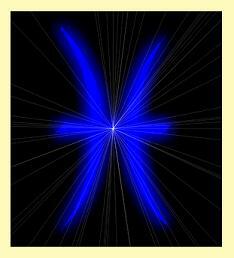 Many Pisces people also excel in religious or spiritual professions. People of the sign of Pisces are generally believed to be imaginative and highly creative, with great sensitivity and sharp intuition. In some cases, these qualities can cause the Pisces personality to be introverted and maybe a little on the passive side. Pisces people tend to have gentle, patient dispositions. They are typically compassionate, caring and romantic, but can also be overly idealistic, sometimes exhibiting escapist tendencies. 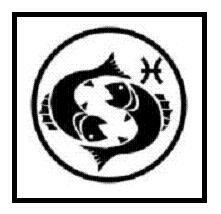 Pisces people typically avoid noisy, crowded places, strongly preferring privacy and quiet time at home. Regarding interpersonal relationships, people of the sign of Pisces are considered most compatible with Sagittarius, Cancer, Capricorn and other Pisces personalities.